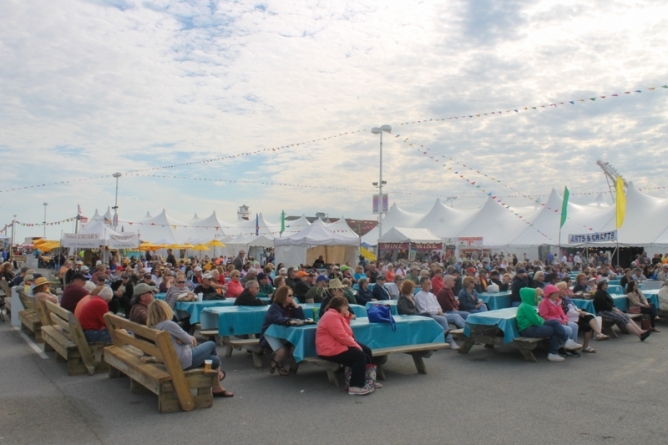 (May 15, 2015) More than 108,000 visitors spent part of their weekend at Ocean City’s Springfest, soaking up the beautiful weather, listening to live music, browsing vendors’ merchandise and grabbing a bite to eat during the four-day festival, May 7-10. 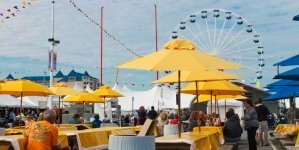 The total attendance of 108,074 was up from last year’s turnout of 102,221, said Frank Miller, Ocean City’s Special Events superintendent. 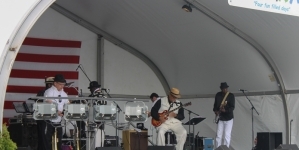 This year marked the 25th anniversary celebration of Springfest, which brought more than 250 artisan vendors from across the country to the inlet parking lot, in addition to more than 30 food concessions and a line-up of live entertainment. “Such a lovely event, in a wonderful location,” said vendor Jessie Driscoll. She traveled from Woodstock N.Y. with her husband, Dan, to introduce Springfest attendees for the first time to their unique jewelry made from vintage American coins. They sand off one side of an old silver coin and transform it into a design, which leaves the coin image intact on the reverse side. In addition, there are a line of pieces that retain the coin image on both sides, Driscoll said. Another Springfest newcomer, Cheryl’s Kitchen, debuted nut butters. These all-natural nut butters have no additives or preservatives with plain and gourmet flavors including a spicy peanut butter, almond butter coconut chocolate, cashew butter and peanut butter chocolate, just to name a few. 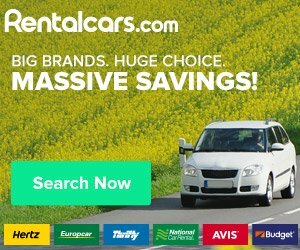 Although Gendler did not sell as much as expected, she would love to attend Springfest or Sunfest, held in September, in the future. 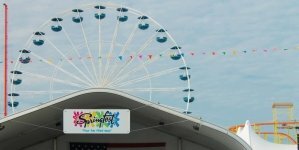 The slowest day at Springfest was opening day last Thursday, when 11,905 came out to a foggy morning which stayed in patches during the afternoon. Beatlemania Again played to an audience of a little less than 1,000 people that night, Miller said. Friday’s attendance trumped Thursday with 33,994 making their way to the white tents, and country music star Vince Gill played a soldout show of 1,796 people on the Entertainment Pavilion stage that night. Despite the trend, Saturday had the largest number of attendees, when 41,214 enjoyed a warm, sunny day for the outdoor event. A soldout show of 1,793 concert goers checked out Pat Benatar and Neil Giraldo rocking out on Saturday night, with hundreds of others listening outside the tents, Miller said. Immediately following Benatar and Giraldo’s performance, a 25th anniversary firework show took place on the north side of the Ocean City pier. 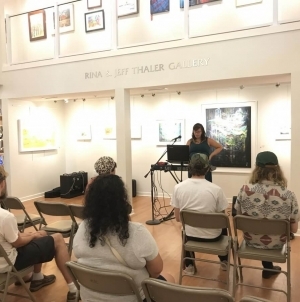 “A majority of the concert crowd stayed for the firework show and a lot of people watched from the beach and on the perimeter of the Boardwalk,” Miller said. Springfest wrapped on Sunday with an attendance of 20,961 for closing day, which is 1,500 more people than that day last year.